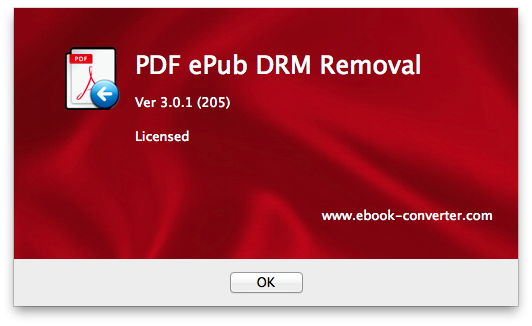 Remove DRM from PDF/ePub ebook - Convert to PDF/epub/mobi format. 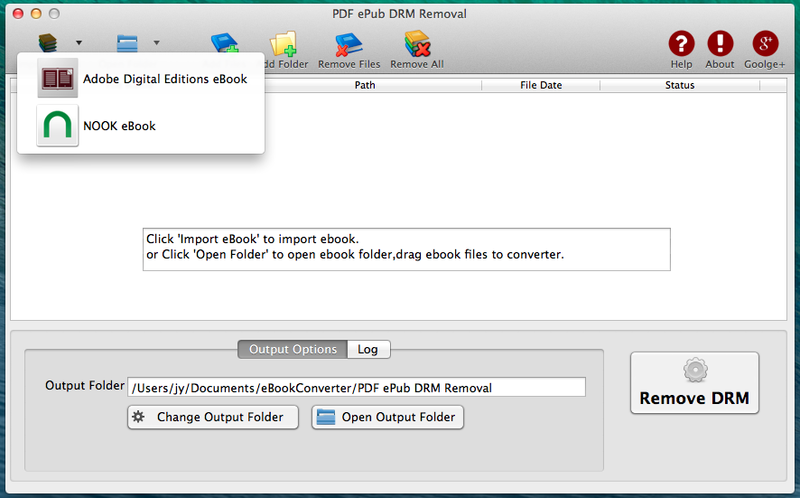 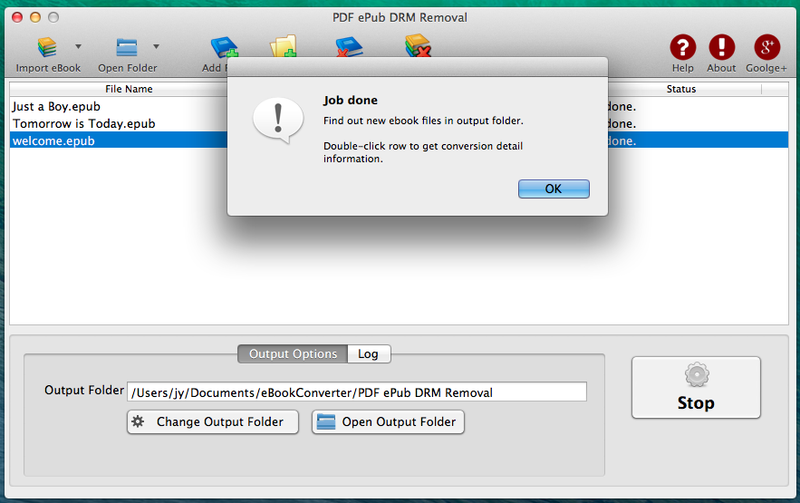 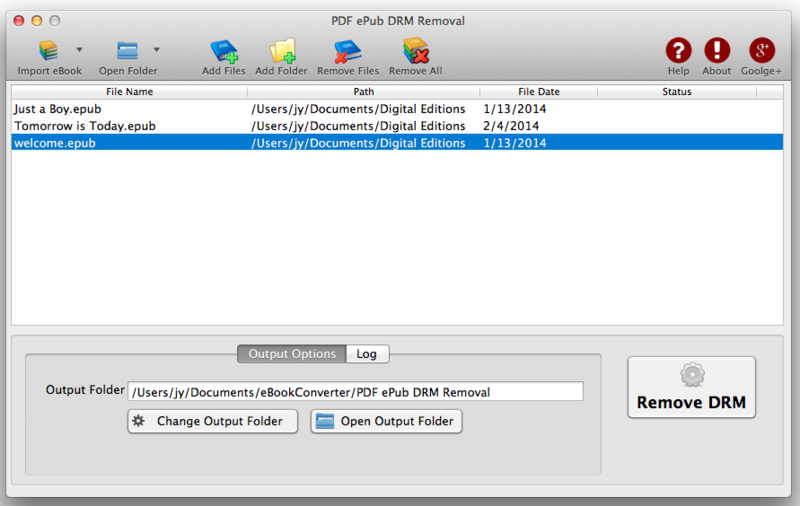 PDF ePub DRM Removal (mac) easily remove ebook ADEPT DRM protection for PDF epub files with 1-click. 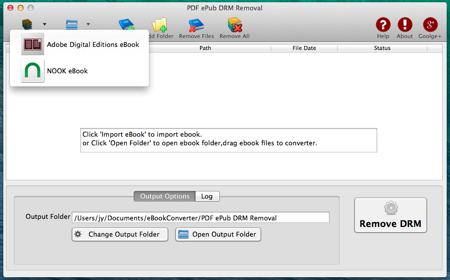 user can view PDF ePub ebook on iPad, NOOK, Sony Reader or other ereader device without limitation, user also can print Digital Edition ebook. 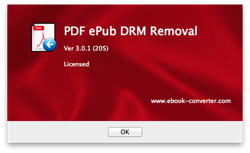 It is very easy to user, just 1-click to decrypt epub ebook, support OverDrive eBooks, Public library ebook, Google Play ebook, Kobo ebook and other online ebook store. 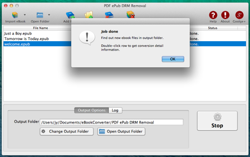 Support Macosx 10.6 and up. 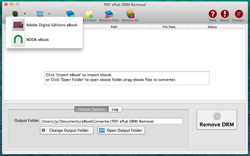 if you have drm pdf file that could open in Adobe Reader, not in Digital editions, you should try another converter PDF Reader Converter. 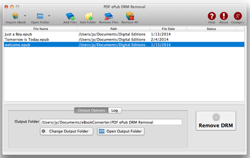 How to remove PDF DRM ?